Without doubt, there is lots of interest in machine vision technology. The industry has been growing for years, has conquered new fields of application, and has matured. The success of the machine vision sector is attracting attention from investors. More companies from neighbouring fields are entering the market: classical sensor manufacturers, PLC producers and other players from the automation field. In addition, completely new and big players are approaching the vision field, as was evident from the Embedded World trade fair in Nuremberg at the end of February. The amount of vision-related demonstrations at the booths or future scenarios incorporating vision in the conference was tremendous. 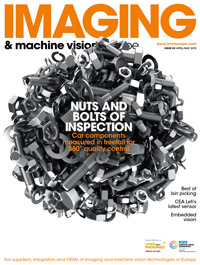 Has the long-predicted consolidation of the machine vision industry already begun? This question was answered by Dietmar Ley, CEO of Basler, at the joint VDMA and Vision CEO roundtable event at the beginning of February. He said that speed of consolidation within the machine vision industry has been low for decades, but has significantly accelerated over the last 36 months and a further acceleration is to be expected. This he put down to three trends. Firstly, computer vision (CV) and machine vision – the factory automation-related subset of CV – are attracting increasing attention from strategic and financial investors. Computer and machine vision technology will play a major role in the Internet of Things and Industry 4.0, which are considered dynamic and sustainable future growth markets by strategic and financial investors. As IoT and Industry 4.0 are expected to disrupt existing market structures and open up a lot of new growth applications and business models in professional and consumer markets, an increasing number of large companies are trying to get access to vision technology, some organically, some by acquisition. Secondly, the traditional machine vision sector is maturing. With the advent of large Chinese vision technology firms entering the market, erosion of average sales prices can be observed in the traditional machine vision sector – already happening in Asia, and set to occur in Europe and North America. In order to compete in this environment, companies need to command sizeable economies of scale. The current average size of machine vision companies is probably too small to participate in the future volume segments of the market. As smaller companies start to realise this, they will either try to escape towards high-end niche markets or open up for strategic partnerships with larger partners. Finally, founders of classical machine vision companies are approaching retirement. A new generation of management is needed as this happens. Since capable and financially savvy successors cannot necessarily be found in small firms, owners are opening up to consider selling to strategic or financial investors, which can provide top management knowhow, and are able to pay a fair value. As in all change, opportunities and challenges lie ahead. VDMA – founded more than 125 years ago – has accompanied and supported its members in many changes, and is ready to master the upcoming challenges together with the machine vision industry.